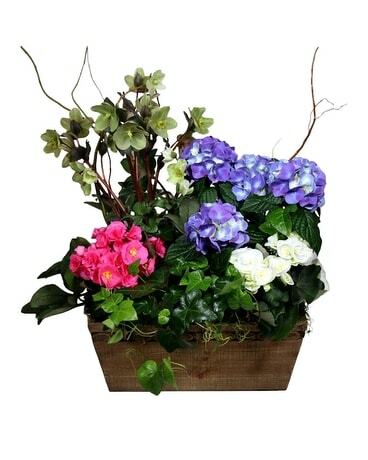 A Collection of fresh spring blooming plants. Plants may vary depending on availability. Approx. Size as shown: 20-22" wide x 22-24" Tall Container is made of wood.